She was working at a desk at a company, and paying her bills. Then, on New Year’s Day in 2012, Day was on her way to the gym when she was in a car accident. She suffered minor back pain and was uncomfortable sitting at work all day. An inventor at heart, Day decided to create her own makeshift standing desk out of cardboard boxes. Soon, her back felt better. 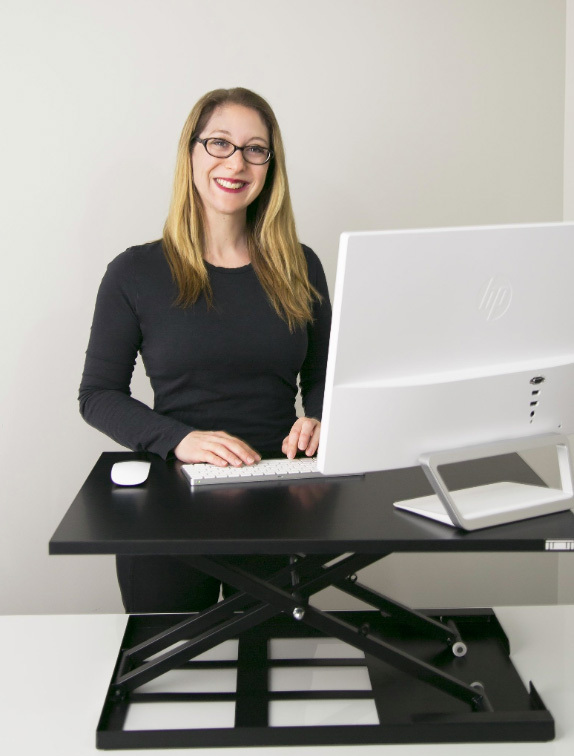 They asked for standing desks of their own, so Day decided to take her savings and start her own standing desk company. With exponential success and growth, here we are now! Now. We offer a full suite of innovative ergonomic office products tailored for today’s workers. We know you want to work differently, to break up the monotony, to move around more, and get your mind and body connected. Stand Steady. Because your back is our back. Make your work space better, safer, and healthier than you ever dreamed possible. We have your back. The Stand Steady team is here to help you feel better and have more fun at work! Sign up for our news letter to get the latest sales, discount, tips, and tricks!